Good things come in small packages! Am I right? Who doesn’t love opening up lots of tiny gifts? I especially like when those tiny gifts are practical and useful. And, what’s stocking-sized and more useful than beauty products? 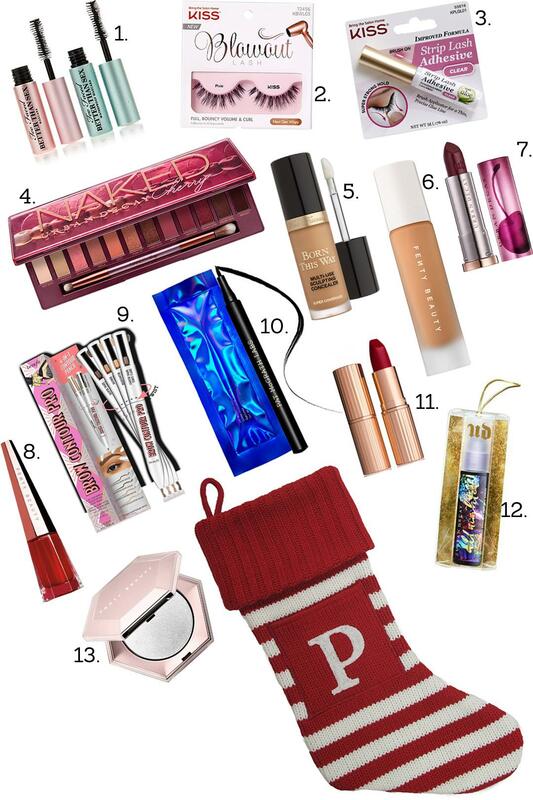 The beauty stocking stuffers in this gift guide are not only some of the top-rated beauty products of the year, they’re also staples in my personal beauty routine. I use them, I love them, and she will too. Bonus: Talking about top beauty products, enter to win the Entire NAKED CHERRY COLLECTION. For rules and to enter, click here. Read my review of the collection here.